It contains tea tree oil and Salicylic Acid which is very beneficial for the skin. 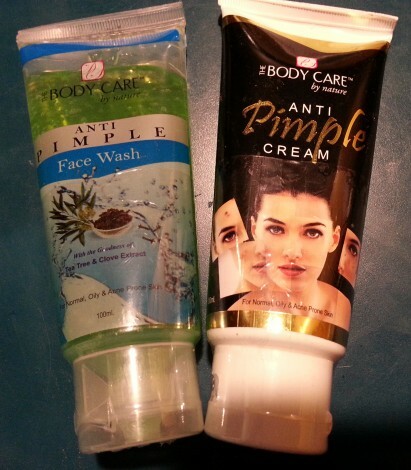 It has Aloe Barbadensis Extract and Shyzysium Aromaticum Oil which is very effective against pimples. The Presence of Citrus Limonum Oil makes the skin healthy and glowing. Anti-Pimple Cream has antimicrobial, anti-inflammatory, wound-healing, antioxidant, astringent, emollient and soothing properties, which act synergistically in the management of acne. The cream also relieves the burning and itching associated with acne. It contains Tea Tree oil which is very beneficial for the skin. This anti-inflammatory antioxidant and antibacterial properties face wash, which work synergistically to control acne. It prevents excess sebum production, one of the main causes of acne.